How do we create a 55,000 m2 space that speaks to the individual? 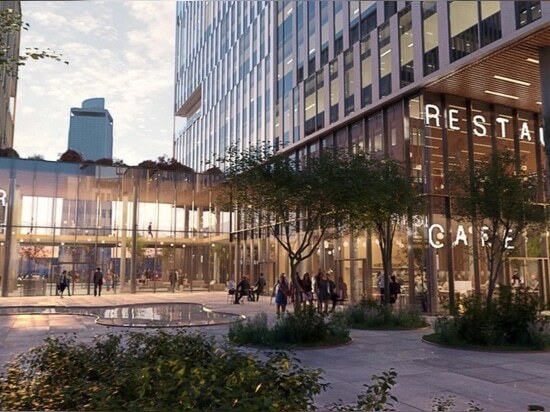 As we design for individuals, how do we bring professional space in closer connection with city life and culture? 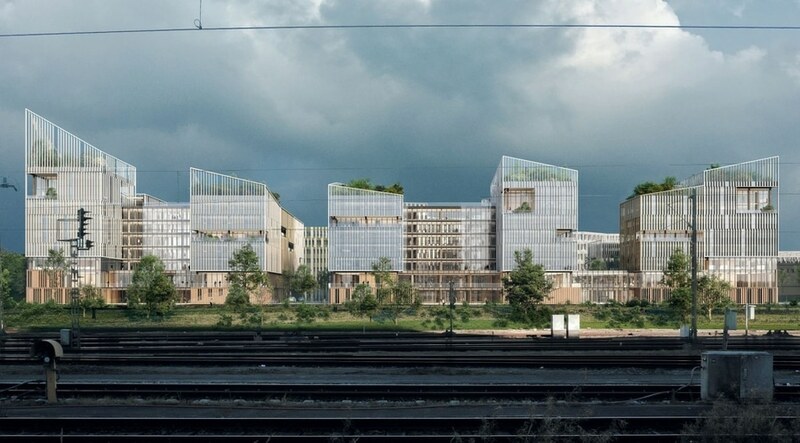 These questions have shaped Henning Larsen’s winning bid to design NØRR, an office and cultural center in Saint-Denis, France. At NØRR, grand volume emerges within a Scandinavian-styled human scale. 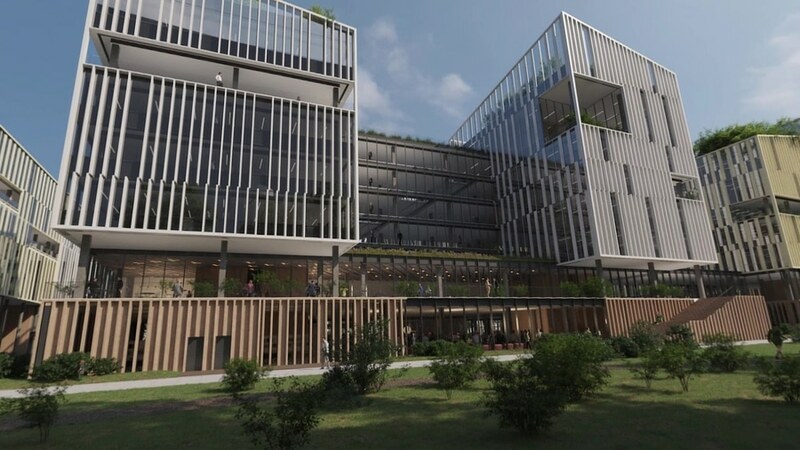 Here, the professional world does not forfeit the fundamentals of human wellness: 50,000 m2 of working spaces exist in direct dialogue with lush terraces, natural daylight and a tight sense of community. NØRR challenges the boundary between corporate and public culture, reflecting shifting attitudes towards working and living spaces. 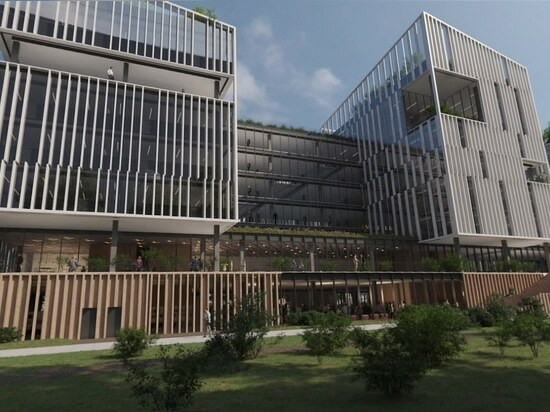 The design concept translates the typology of rural villages for a human-oriented workplace. 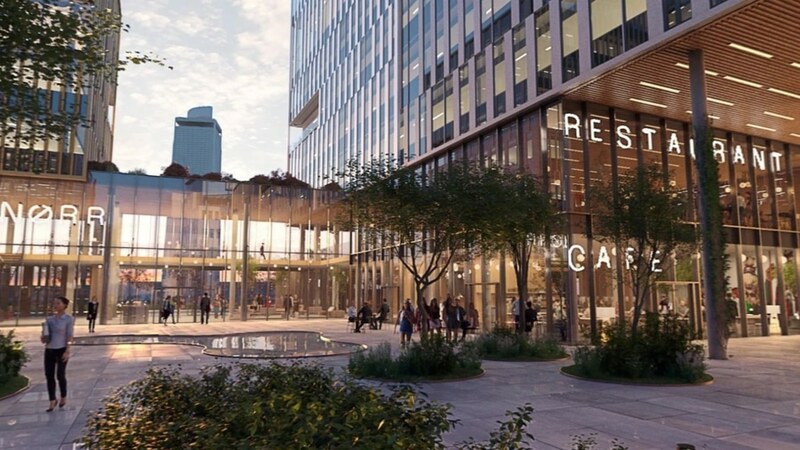 On the ground level, 5,000 m2 of outdoor cafes, cultural space and green gardens invite the public into NØRR’s daily life, offering pedestrian corridors and small-scale gathering points that mirror the intimate setting of village streets. This village typology continues in the upper office floors – Offset building volumes avoid long, impersonal hallways, instead channeling occupants through smaller corridors marked by common social hubs. The name NØRR reflects the building’s French-Scandinavian roots. Literally interpreted, it speaks to Saint-Denis’ orientation north of Paris. Visually, the divided ‘Ø’ represents where dualities converge – where natural meets urban, where private meets public, and professional meets playful. NØRR emerges along a corridor of significant new development. 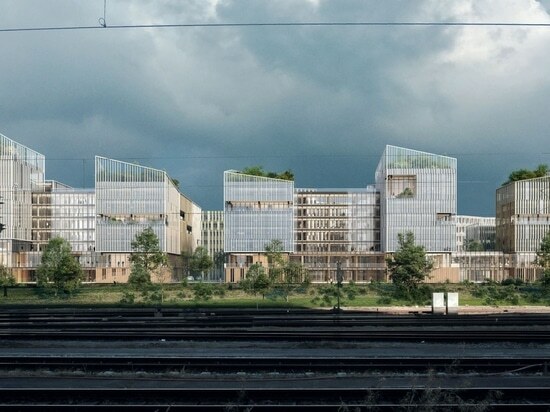 Major public and residential projects by architectural firms including Snøhetta, Kengo Kuma and Marc Mimram are all planned to rise within one kilometer of NØRR, as well as the new aquatics center for the Paris 2024 Olympics.A close neighbor to the 80,000-seat Stade de France stadium and metro station, itself just one stop away from the forthcoming Grand Paris Express hub station at Saint-Denis Pleyel, NØRR stands at the crossroads of local urban life, and draws professional and public realms together at a new hub of Saint-Denis culture and activity. 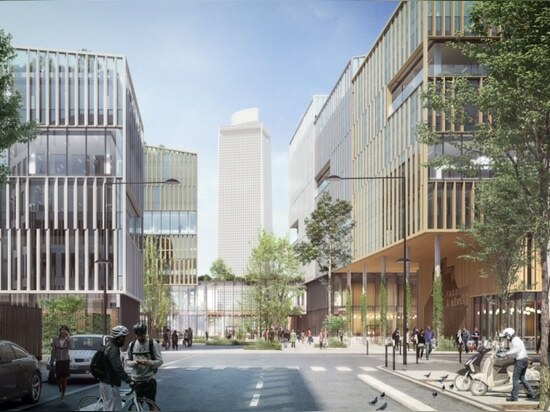 The project is Henning Larsen’s second win in Paris in 2019, following the studio’s contract for a major transformation and expansion of the Opéra Bastille in Paris. 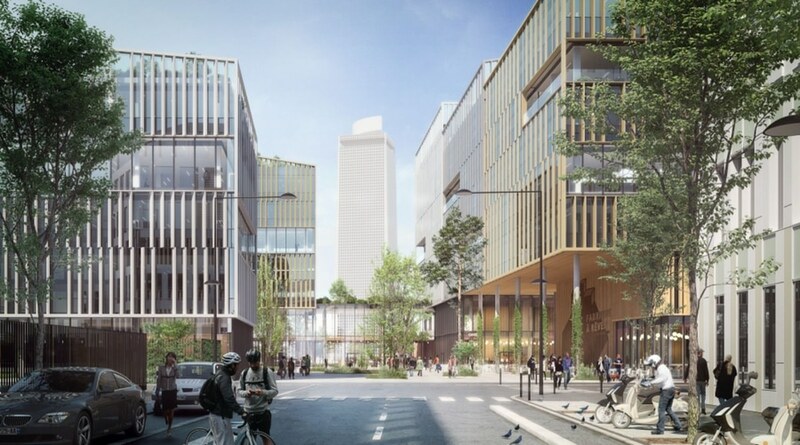 NØRR is co-developed with AXA IM – Real Assets, Bouygues Immobilier and Plaine Commune Développement, a Saint-Denis-based public-private development agency. Source and images Courtesy of Henning Larsen.